After waking up from hearing this word, the first thing that I saw is this foreign world. For the sake of surviving in this game-like world of Grimgar, we can only remove our hesitation and fight…… But sorry, I don’t like to follow the path that was arranged for me-- I will only walk the path that I desire. Most of you probably know that this is a spin-off of Grimgar, and that's probably its biggest appeal. This offers the potential for further worldbuilding. The series follows the party that arrived before Haruhiro's group. They were actually mentioned in volume two of the main series as a group of three "oddballs" who never bought their volunteer soldier badges. It should be interesting to read about a group that didn't simply accept the volunteer soldier life. This series is also much more lighthearted than its counterpart. Edit: It also seems that some of the characters from this series appear in the latest Grimgar volume so it'd be cool to be able to see their story. Someone was supposed to request this from the editor/author at AX but the question/request never got asked at the panel unfortunately. Here's my vote as I want this licensed too. Sam regarding this series on curiouscat: "I haven't seen much demand for it, honestly, but we'll see." Come on guys; who doesn't want to see more of Grimgar?? Although it probably won't mean much i support this series being picked up and would buy it should it get picked up, and that is not just because Erect Sawaru is the illustrator. @rahul-balaggan Erect Sawaru is the only reason I need. It being a Grimgar spin-off certainly helps tho. Upvote. 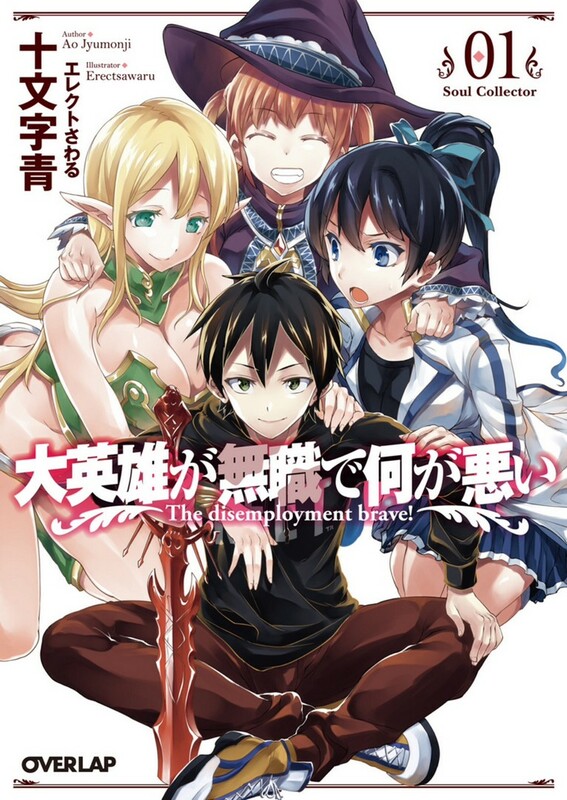 IMO, in JNC's current situation, and considering how this series is on hiatus with no signs of continuing (unlike Arifureta Zero for example), it'd be wiser to wait for Grimgar to develop further and license other titles instead. I dunno. There's also a chance it might actually not go well with Grimgar fans. But yeah, if you ask whether or not I'm curious about this series, I am curious. TBH this series would be nice eye bleach. Just think about it Grimgar can be pretty dark and imagine reading something dark from Grimgar and than reading this which takes place in the same world but probably much lighter and humorous. So far the only time I ever truly needed eye bleach was when Re: Zero was airing. Lmao that anime left me with trauma. 10/10 loved it but would never watch again. @hyferzftw That's the thing. I'm just afraid reading this will make me feel all the hardship Haru and co went through seem stupid. I'm just afraid reading this will make me feel all the hardship Haru and co went through seem stupid. I mean just look at Somas party they are just insane from what we have gotten so far. Besides we’ve seen Renji’s (hope I spelled him name right) party be kinda OP from the start. So tbh I don’t feel like I’ll end up feeling like Haru’s party is going all through this for naught. Tho the difference is those two parties aren’t goofballs. Besides the story takes place before Haru and co appear. @myskaros My impressions aren't that this group is strong or successful per se, but that they're somewhat like Kazuma's party from Konosuba where they happen to luck out of situations in comedic ways. I've read that the mc is actually quite the coward, which isn't a quality we've seen in those other parties. But yeah, the silly group and potentially unlikeable MC is probably not the best for drawing in Grimgar fans, but I'd still like to read it-- even if it's just for the extra worldbuilding. Regarding the earlier question about the Grimgar spin-off. If I recall, some of the characters from that series show up in the latest Grimgar Volume Wouldn't that be an issue for english readers who have no way of knowing who these characters are? Sam: Oh, good to know. But random characters showing up that make no sense is one of Grimgar's charms. If this is true, it'd be really cool to know their stories if the characters become relevant in the main series. Also, this might mean that there's still a chance of it continuing (probably still a longshot). At this point though, it isn't likely to be licensed before we get to latest Grimgar volume, but it'd still be nice to see their story eventually. @falcade tbh I wouldn’t mind another Grimgar related story with another group since all groups are different and Grimgar is a very punishing world. If they are going to license this now would be the appropriate time, pretty soon these characters will be appearing. @jason-maranto I think spin-off titles should get licenced (if the main series is doing very well). I still have hard feeling for Yen On that the konosuba spin offs have not been licensed yet (Though Danmachi brings my feeling for them up a notch though). I would definitely be interested in this even if the tone and style is completely different than Grimgar. The spin-off would help with world building. I've read a translated chapter 2 and there was more information about Alterna then there has been in the main series. A translated chapter 13 also gave a decent amount of information on the Elves of Shadow Forest. More Grimgar is always a good idea. Even if the story isn't as interesting atleast we'll get some more world building. The Grimgar author's first volume of his latest series is on sale for 30 JPY for the next hour for those interested.